This book offers science teachers a new way of thinking about their work by drawing on cutting-edge research that explores new methods and strategies to make science accessible to K-12 students. Through engaging anecdotes and vignettes, this book empathizes with the challenges faced by contemporary science teachers, and presents a clear pathway to successful and inspiring science teaching that builds upon students’ interests and prior knowledge. Larkin provides a wealth of examples of what high quality science teaching looks like and of culturally relevant science teaching that will engage diverse groups of students. Grounded in the Next Generation Science Standards (NGSS), this is a perfect supplementary resource for both preservice and inservice teachers and teacher educators that addresses the intellectual challenges of teaching science in contemporary classrooms and models how to enact effective, reform-based science teaching practices for all students while working within real-world constraints. "Maybe it will just have to remain a mystery forever"
What if the stork carried 20-sided dice? Douglas B. Larkin is an Associate Professor in the Department of Teaching and Learning at Montclair State University. He has worked as a high school science teacher in New Jersey, Kenya, and Papua New Guinea. His research examines science teacher preparation and retention, as well as issues of equity and justice in teacher education. 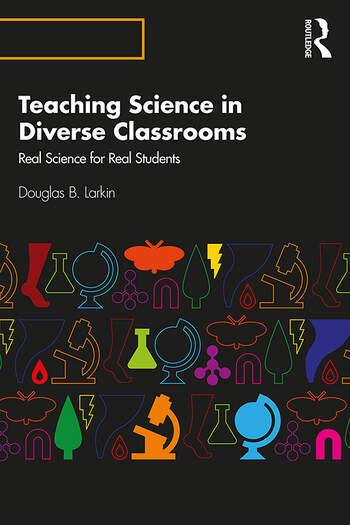 "This book speaks to all types of science teachers and their different contexts—Doug Larkin is writing to a diverse science teacher audience. The way he integrates and weaves together stories from his teaching and his work as a teacher educator with those of other teachers makes the whole book feel connected, an authentic learning experience. The book is written the same way he envisions science teaching—it is meant to be intriguing and real not just a series of facts forced onto the reader." "I love the tempo and approach to this book. It is accessible and clearly connects the 'bigger issues' of science education to the actual practices of teaching." and High-School and College Science Instructor. "As a (former) science teacher I felt both validated and challenged by the book. It is a wonderfully realistic portrayal of teaching science in real classrooms and recognition of all that science teaching entails. I like that Larkin encourages teachers to forge stronger connections to science practices and deeper learning, and he communicates these important messages as a nudge towards more collaborative sense-making. It’s positive and encouraging and offers teachers ways to reorient what they already do towards more robust science teaching. "